I’m an experienced frontend web developer and web design consultant based in Newcastle upon Tyne in the North East of England. If you want to build a Photoshop file to HTML and CSS templates, or integrate it with a system such as WordPress or Drupal, I can help! As a seasoned frontend developer, I can also help advise you on the platform, assessing whether it is fit for your goals. I work with clients all over the UK, from Edinburgh to London, and York to Oxford, as well as clients abroad, from South Korea to mainland Europe. Communication is important in a design/development project, and we can deal via the telephone, Skype and email, or, for larger projects, I am able to travel to meet you at key project milestones. I have 10+ years experience as a web designer and frontend developer in a commercial context, and can be found speaking at many events each year, including local user groups such as Drupal North East and WordPress North East. I am the author of seven books on the web design and content management system sector, and act as a technical reviewer for publishers of web design books on a regular basis. 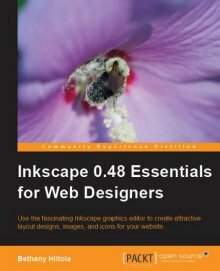 I have reviewed books including Inkscape 0.48 Essentials For Web Designers and The Definitive Guide to Drupal 7. If you would like to work with me, please contact me: I’m available through Peacock Carter, the ecommerce web design agency I founded in 2006, for web design consultancy and other frontend services.